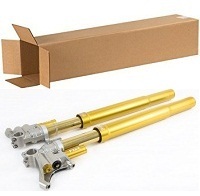 Ohlins shock is heavy duty large 46mm body and 16mm shaft with divided fluid and nitrogen via internal floating piston and about 45 clicks of adjustment with many available spring options. 3) Preloader has about 23 turns of additional preload on the spring which is an easy way to add some more to the standard solo spring setting and then return it back when needed. 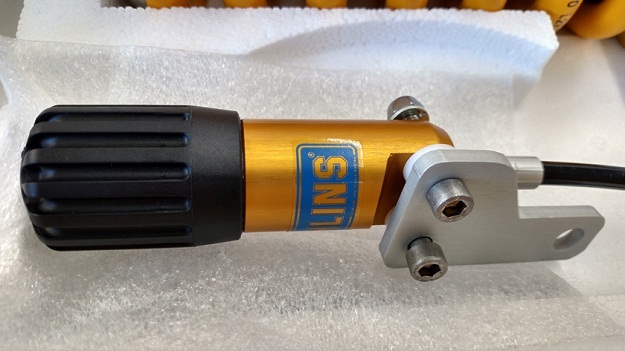 Above Ohlins has a 30mm Cartridge and spring kit that fully upgrades your forks from the top cap to the bottom. 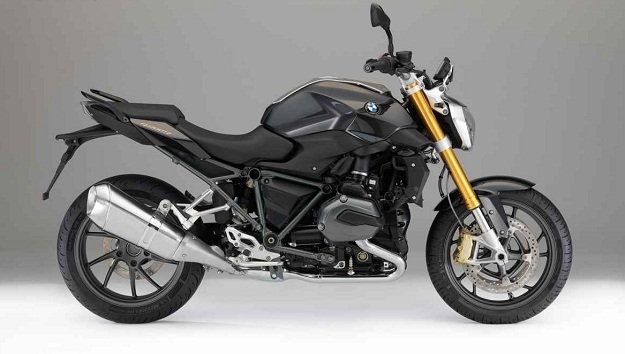 Much like whats in the whole Ohlins RT Fork, you can put in your BMW shells and toss the rest. 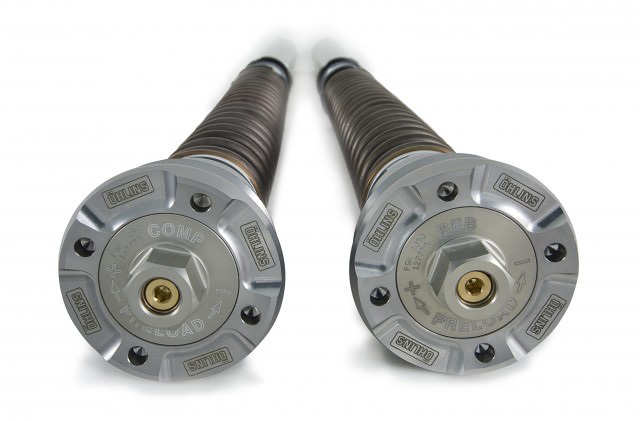 They feature a 4 port Ohlins piston with fully adjustable spring preload (at top caps 18 turn), adjustable compression and rebound.